One would think that the longer one gardened the more varieties of plants one would grow...now wouldn't one? 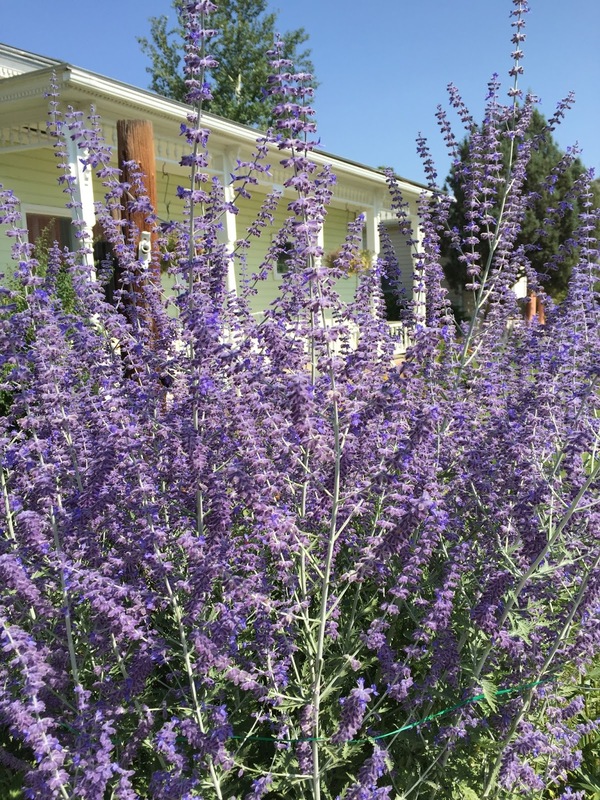 Take, for example, the sheer lavender brilliance of Russian Sage, Perovskia. 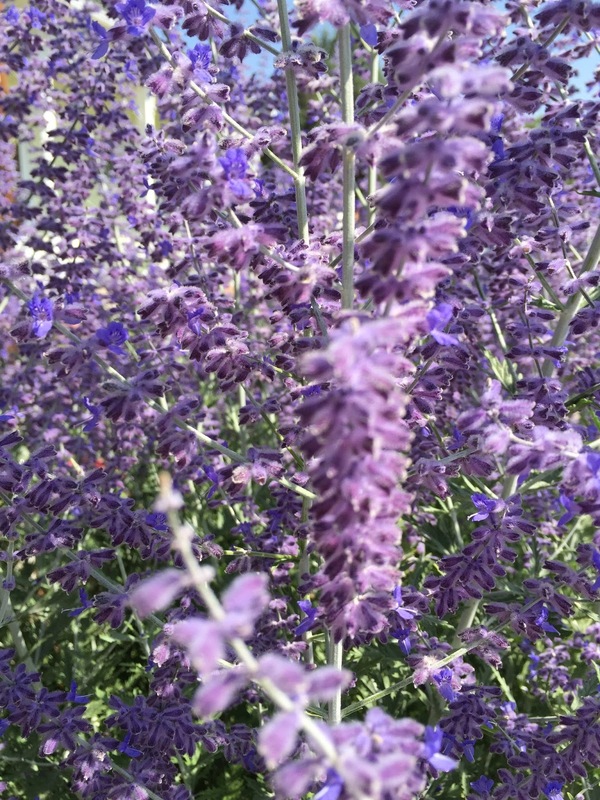 A Prussian-blue meets lavender perennial that greets me at most every corner here in Salida, CO. The light, the space, the aridity, the drainage, the very attitude of Colorado is just made for this spikey gray bloomer...and vice versa. In my small urban OKC flower border, I cannot easily provide any of these conditions ...just great affection and admiration for its potential; alas, something never fully realized in my home garden, where it grew lanky and sullen from too much water and too little sun and space. Quite simply, I just couldn't do this handsome plant justice, and now feel I do it a disservice to try. 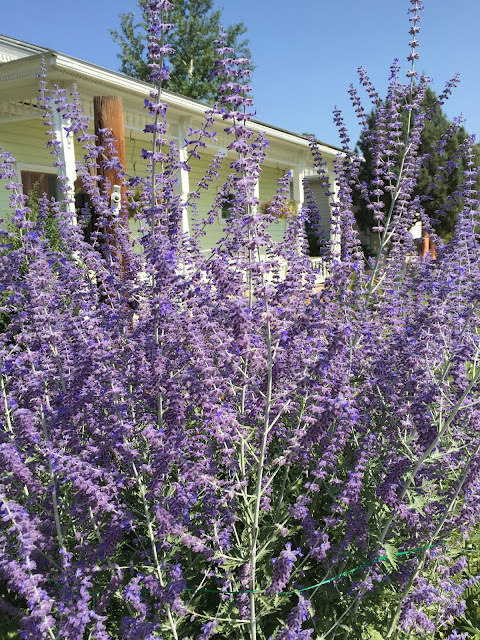 Better to savor it in a happy home, where it flourishes, waves, sprawls and dances... hosting no end of pollinators and winged visitors who, like me, are also great admirers of its color, shape and personality. but no longer am driven to possess or cultivate. I consider it advancement along a learning curve...this acknowledgment of things, like a tattoo or a bikini or even an extra large Christmas tree...for which I am not now suited...but am happy to admire elsewhere.